Happy fourth of July to everyone in the states! For those of you not in the U.S., I hope you still get to enjoy a tasty BBQ and the company of good friends. 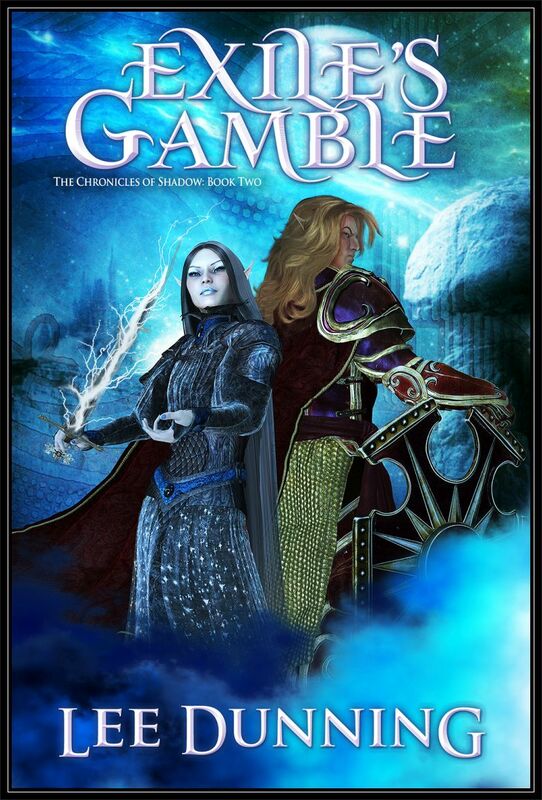 I thought I’d start off the month right by posting the cover to my upcoming book, now officially titled “Exile’s Gamble”. Some very kind and hard working folks are currently in the midst of beta reading the book, and I have been diligently preparing the formatting for the eBook. It should hit Amazon’s virtual shelves around the 25th of July (fingers crossed), with the print version to come soon after. 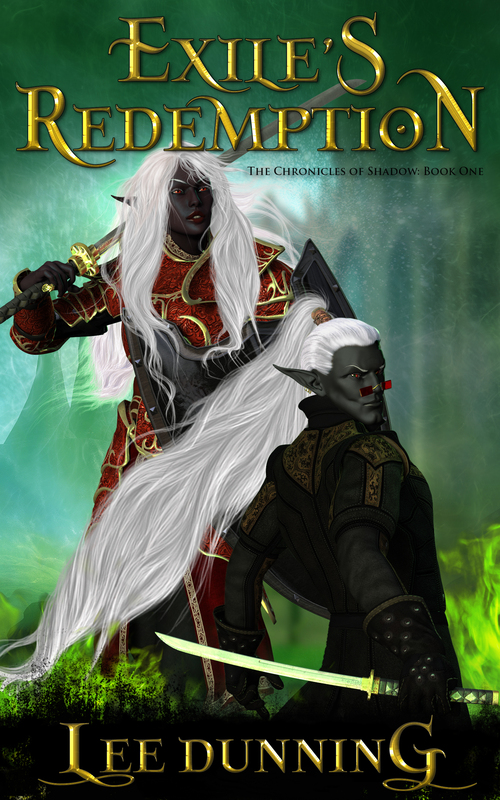 Book II’s cover features Lady Swiftbrook and Lord K’hul. You may have seen a version of it floating around during a recent blog tour, however I redid K’hul since that initial version. I shrank his head down and completely redid his hair. One friend described the original as having yarn hair. I found myself agreeing and what you see here is the end result of those changes. I hope you enjoy it. It’s very blue, just like the last one was very green. I expect Book III to be very red.